Phenobarbital Overdose is the accidental or intentional intake of the drug in dosage higher than prescribed values. What are the Causes of Phenobarbital Overdose? What are the Signs and Symptoms of Phenobarbital Overdose? The signs and symptoms of Phenobarbital Overdose can vary from one individual to another. It may be mild in some and severe in others. Several systems of the body, such as the respiratory system, nervous system, vascular system, urinary system, and skin may be affected. 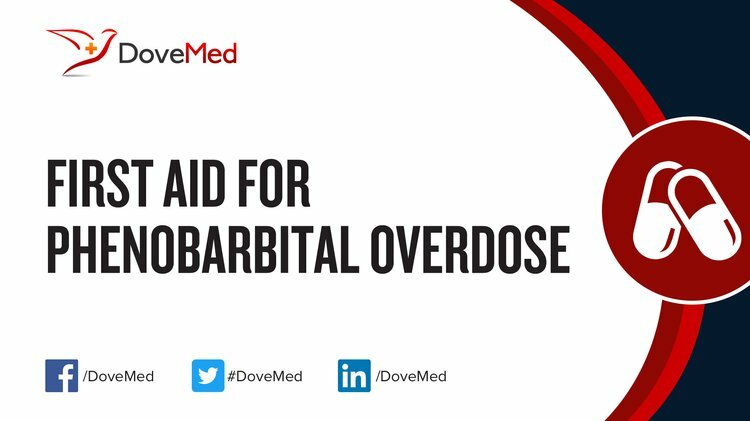 How is First Aid administered for Phenobarbital Overdose? Who should administer First Aid for Phenobarbital Overdose? First aid for Phenobarbital Overdose is administered by healthcare professionals. What is the Prognosis of Phenobarbital Overdose? How can Phenobarbital Overdose be Prevented? Hoyland, K., Hoy, M., Austin, R., & Wildman, M. (2013). Successful use of haemodialysis to treat phenobarbital overdose. BMJ case reports, 2013, bcr2013010011. Ruhe, M., Grautoff, S., Kähler, J., & Pohle, T. (2016). Suicide attempt by means of phenobarbital overdose: Effective treatment with continuous veno-venous hemodialysis. Medizinische Klinik, Intensivmedizin und Notfallmedizin, 111(2), 141-144. Roberts, D. M., & Buckley, N. A. (2011). Enhanced elimination in acute barbiturate poisoning–a systematic review. Clinical Toxicology, 49(1), 2-12. Mactier, R., Laliberté, M., Mardini, J., Ghannoum, M., Lavergne, V., Gosselin, S., ... & Workgroup, E. X. T. R. I. P. (2014). Extracorporeal treatment for barbiturate poisoning: recommendations from the EXTRIP Workgroup. American Journal of Kidney Diseases, 64(3), 347-358. Jana, S., Chakravarty, C., Taraphder, A., & Ramasubban, S. (2014). Successful use of sustained low efficiency dialysis in a case of severe phenobarbital poisoning. Indian journal of critical care medicine: peer-reviewed, official publication of Indian Society of Critical Care Medicine, 18(8), 530. Hassanian-Moghaddam, H., Ghadiri, F., Shojaei, M., & Zamani, N. (2016). Phenobarbital overdose presenting with status epilepticus: A case report. Seizure, 40, 57-58. Es’haghi, Z., Rezaeifar, Z., Rounaghi, G. H., Nezhadi, Z. A., & Golsefidi, M. A. (2011). Synthesis and application of a novel solid-phase microextraction adsorbent: hollow fiber supported carbon nanotube reinforced sol–gel for determination of phenobarbital. Analytica chimica acta, 689(1), 122-128. Thuan, L. Q., Ngoc, N. D., & Due, P. (2013). Effectiveness of continuous veno-venous hemofiltration and intermittent hemodialysis in the treatment of severe acute phenobarbital poisoning. Asia Pacific Journal of Medical Toxicology, 2(1), 10-13. Miller, C. J., Genescà, M., Abel, K., Montefiori, D., Forthal, D., Bost, K., ... & McCune, J. M. (2007). Antiviral antibodies are necessary for control of simian immunodeficiency virus replication. Journal of virology, 81(10), 5024-5035.